This is my monthly look at new technologies that might eventually impact our industry. Small Chip from IBM. IBM and a team of partners including Samsung, GlobalFoundries, and the State University of New York at Albany have made a significant leap forward by developing a computer chip that measures 7 nanometers, or billionths of an inch. That’s half the size of other cutting-edge chips in the industry. Experts are calling IBM’s new chip a leap that is two generations ahead in the current chip industry. IBM is also introducing a 10 nanometer chip as well. 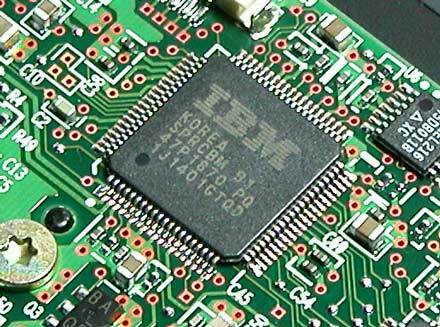 IBM’s trial chip contained transistors just to prove the concept and so the chip wasn’t designed for any specific purpose. But this size breakthrough means that the industry can now look forward to putting much greater computer power into small devices like a smart watch or a contact lens. A chip this small can be used in two different ways. It can reduce power requirements in existing devices, or it could be used to greatly increase computational power using the same amount of chip space. IBM has contracted with GlobalFoundries to build the new chip for the next ten years. This should provide significant competition to Intel since currently nobody else in the industry is close to having a 7 nanometer chip. Cheaper Batteries. Yet-Ming Chiang of MIT has developed processes that will significantly reduce the cost of building batteries. Chiang has not developed a new kind of battery, but instead has designed a new kind of battery factory. The new factory can be built for a tenth of the price of an existing battery factory which ought to result in a reduction of battery prices by about 30%. This is an important breakthrough because there is a huge potential industry for storing electric power generation offline until it’s needed. But at today’s battery prices this is not really practical. This can be seen by looking at the price of Elon Musk’s new storage batteries for solar power – they are priced so that socially conscious rich people can use the technology, but they are not cheap enough yet to make this a widespread technology that is affordable for everybody. A 30% reduction in battery costs starts to make lithium-ion batteries competitive with fossil fuel power. Today these batteries cost about $500 per kilowatt-hour, which is four times the cost of using gasoline. Chiang’s goal is to get battery costs down to $100 per kilowatt-hour. Metasheets. A metasheet is a material that will block a very narrow band of radiation but let other radiation pass. Viktar Asadchy of Aalto University in Finland has developed a metamirror that will block specific radiation bands and will reflect the target radiation elsewhere while letting other radiation pass. This is not a new concept, but attempts to do this in the past have usually bounced the target radiation back at the source. This breakthrough will let the target radiation be bounced to a material that can absorb it and radiate it as heat. This could be a big breakthrough for numerous devices by creating small filters that will allow the dissipation of dangerous radiation from chips, radios, and other devices. This could result in far safer electronics and also can cut down on interference caused by stray radiation and make many electronics components function better.